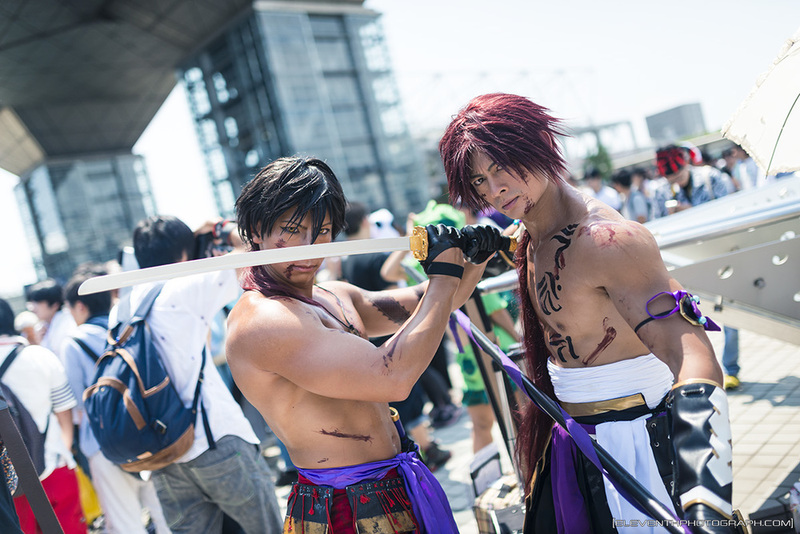 Comiket 90 took place this past weekend. I was there to capture some of the cosplayers hanging around—and to sport a cosplay of my own. 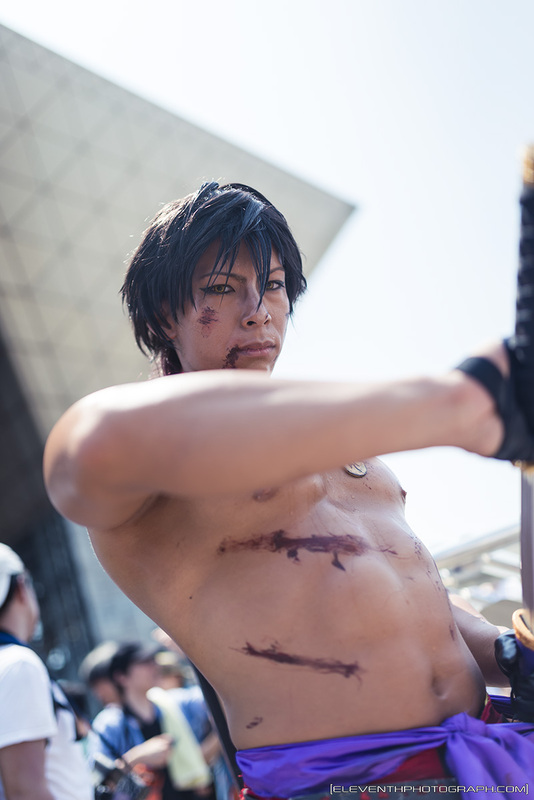 Comiket is a Japanese anime convention, one of the largest in the world, bringing in almost 600,000 participants over three days. 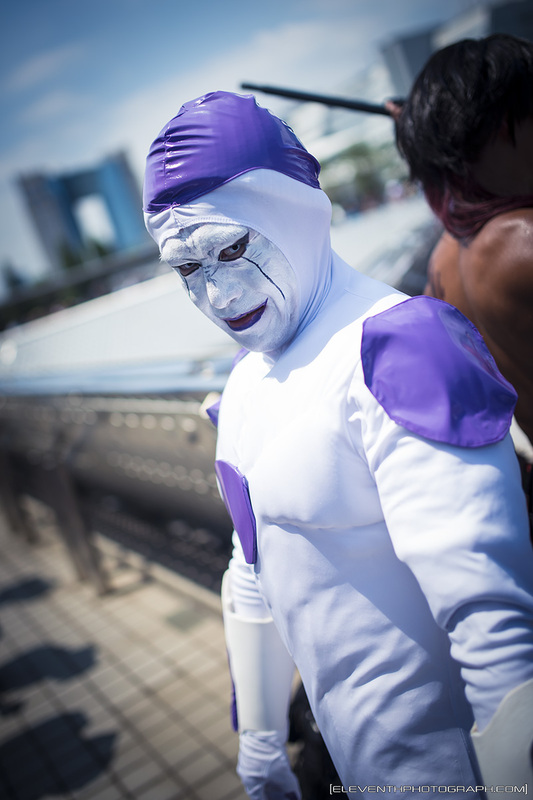 You can read and view my images from Comiket 89 here. 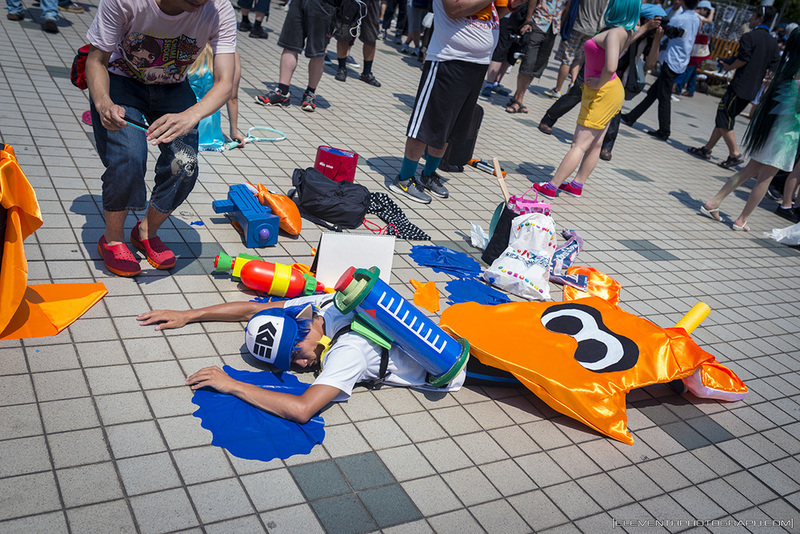 Likewise to Comiket 88, which I also attended, the heat was strong. I’m amazed how many people still make it out and sport the costumes they do to this event despite the weather. Seemingly half the costumes were bikini-like in nature, understandable due the nature to the weather. It was received as well as I expected it to, had about 30 people take pictures of it for both days. I only wore it for about 3 hours or so total. I enjoyed talking to the cosplayers around in my circle group, it allowed me to practice my Japanese and their English. I also put on some acts with Mimikkyu running up to cosplays and yelling “Pikachu! ?” which was fun, the typical response was a laugh and “kawaii” (cute). In regards to photos, I didn’t take too many this time around. The heat really drained the energy to carry everything around and wait in line to take pictures. In case you aren’t aware, in Japan you form lines for the cosplayers you want to shoot. They give you full attention for the time you’re shooting. These turns typically take (or should) 1-3 minutes. I’ve noticed some people really like to take a lot more. One guy a few positions in front of me took about 10 minutes… Taking various shots from various angles, with a bridge camera none the less. It’s a shame to admit, but many people there don’t take photographs for the sake of art. Sometimes, cosplayers will just let the swarm of photographers sit/stand around them as they pose. One situation while I was cosplaying, there was a group of trio bird pokemon cosplayers, very cute, minimal-costumes girls, and they were in one spot for at least an hour, rotating through various poses. I know, that some photographers were around for the ENTIRE time. How many photos do they plan on getting of 3 cosplayers from a stationary spot?! 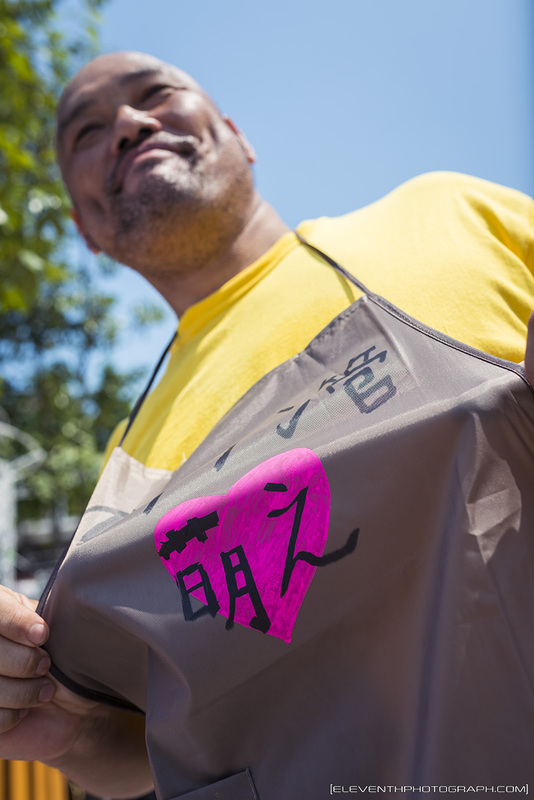 There’s plenty of great people there though, even if there’s a language barrier. 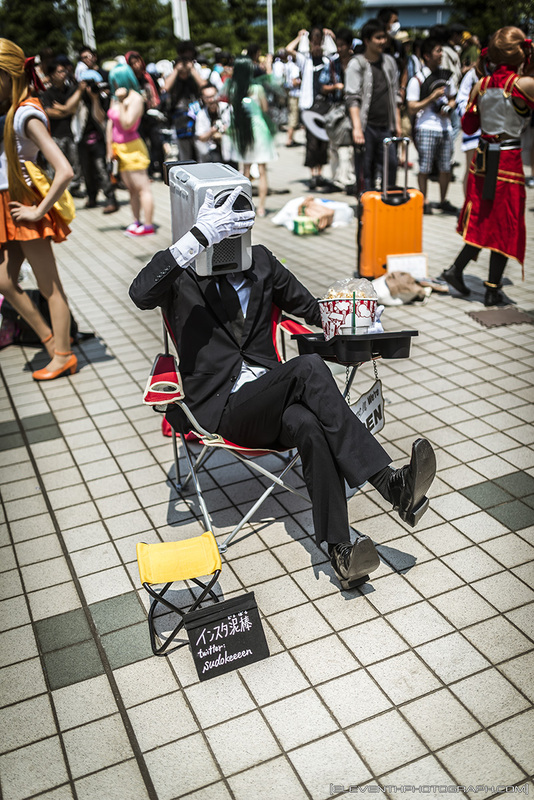 If you haven’t been to Comiket yet and you get the chance, I recommend it. Below you can find my gallery of photos. Again, the heat really drained me so there aren’t that many creative shots in there. Enjoy.